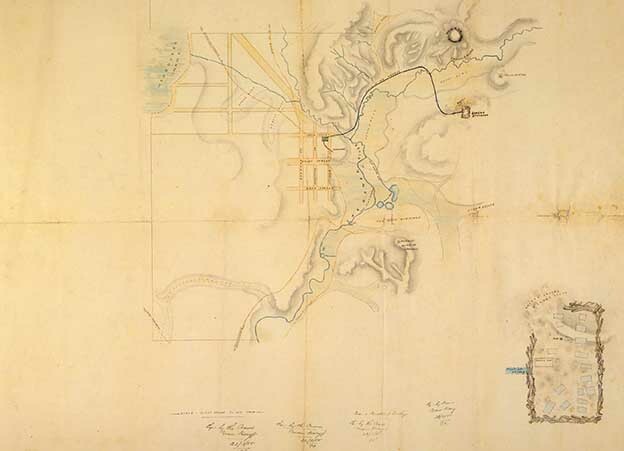 'Sketch of the Ballarat Goldfield, 1851, State Library of Victoria. 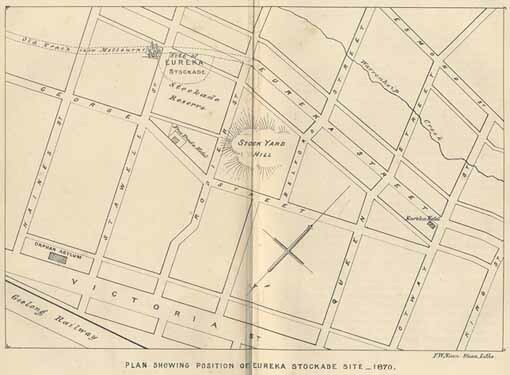 Discovery of gold and the heavy influx of immigrants and goods to Victoria brought intense rivalry between Melbourne on Port Phillip Bay and Geelong on Corio Bay, about which centre could attract the most people and trade. 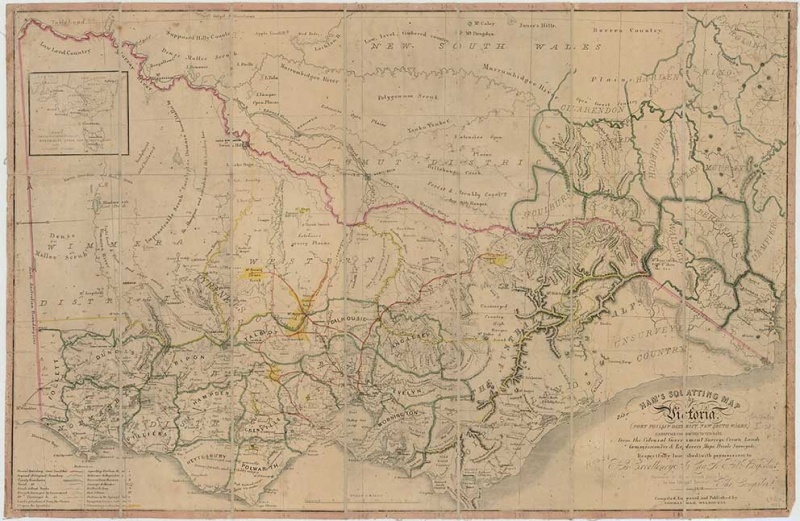 Melbourne interests published a misleading map, called 'The False Map', which elongated Port Phillip northwards, to place Melbourne much closer to the gold fields and the Murray River than Geelong. 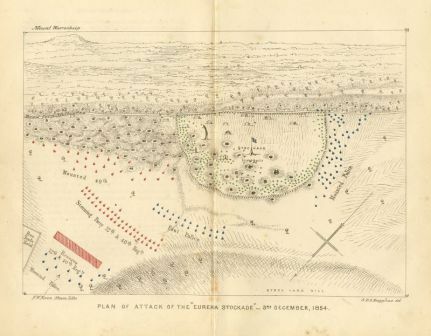 Strachan and company of Geelong produced a true map in answer to the false map, to accompany their printed letter of rebuttal. 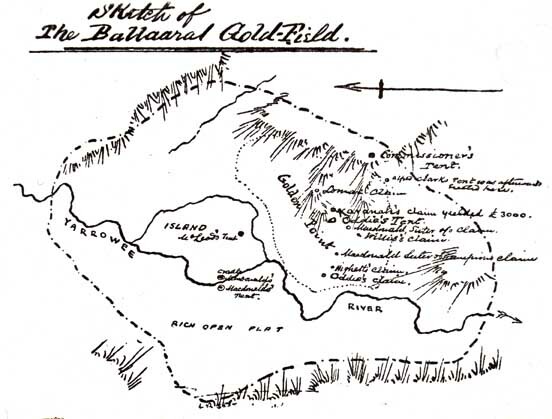 'Sketch of the Ballarat Goldfield, 1851, Federation University Historical Collection. This page was last edited on 29 October 2018, at 00:04.